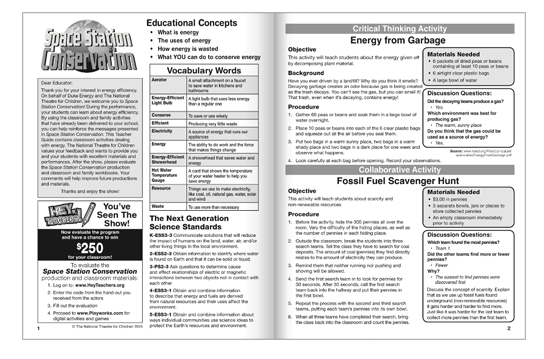 This 25-minute show teaches students in grades K-6 what energy is, the uses of energy, how energy is wasted and how to conserve energy. Harmonica Mars works for NASA, plays a mean harmonica, and, oh, that’s right – she lives on Mars! But it’s high time Harmonica leaves the space station to get back to Earth. Before she can go, esteemed astronaut Sally Tide has a mission for her: Harmonica must find the Energy Kit, a collection of items which will help Earthlings (and Martians) conserve natural resources. There’s only one problem: Sally Tide believes the Energy Kit has fallen into the hands of Bile, a little alien with a big grudge against saving energy. It’s up to Harmonica to learn all she can about energy and natural resources, or else she won’t have enough fuel on her ship to get back home. Will Harmonica and her friends learn enough about energy and resources to find the kit? Or will Harmonica be stuck on Mars forever? Stay tuned! 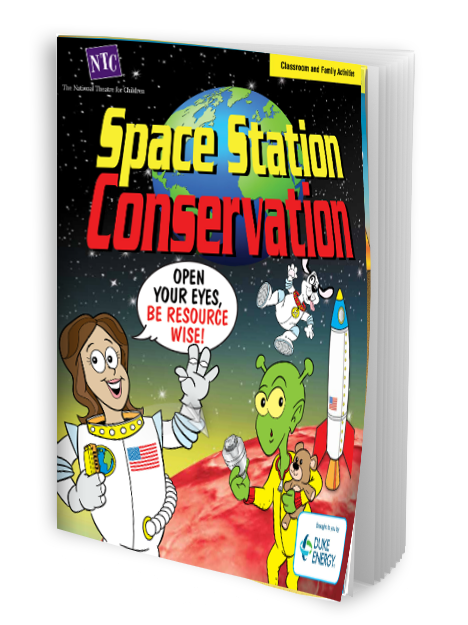 Space Station Conservation aligns with Next Generation Science Standards & Common Core English Language Arts Standards.